This is a useful little strategy for finding your feet in a new culture: Take a standard timeline of the place's history and annotate it with stuff you already know, things that seem important to you, or places you've visited. This Japanese timeline has some movies I've seen and places I went to on my previous trips. Although it's quite long, that's just because Japan has a lot of history. What I actually know about Japan is almost nothing, but hopefully that will change. I'll be adding to the timeline as I go along. 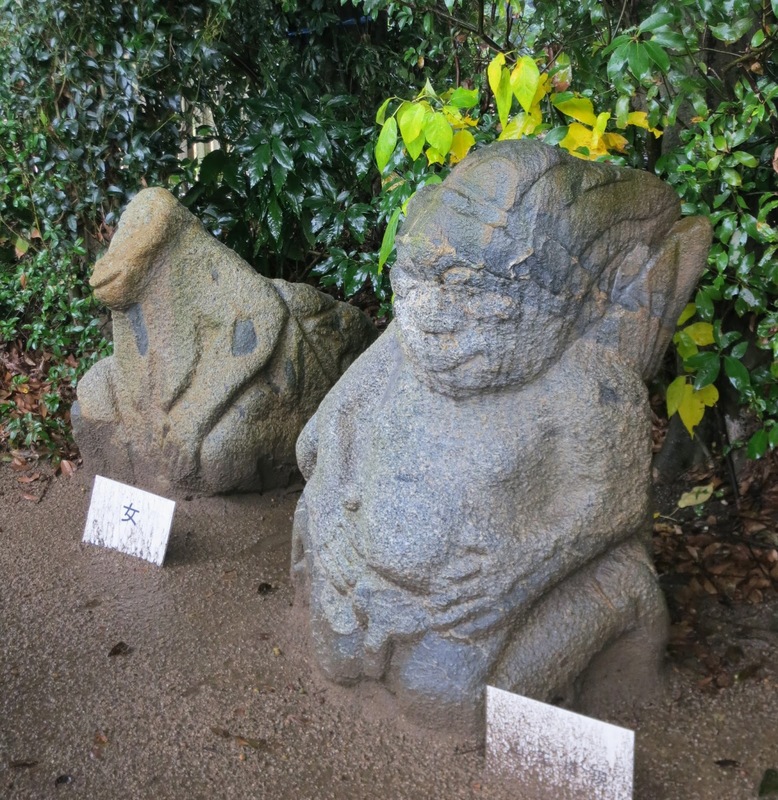 From my last trip: about the oldest things I've seen in Japan are these 'Monkey Stones' from the Asuka period (7th to 8th C). They can be seen at the Kibihimenomiko Tomb in Asuka. Origin of The Tale of Princess Kaguya, although the first surviving manuscript is dated 1592. I know it from the Ghibli version (2013). Kyoto Kinkaku-ji (Golden Pavillion) - built in 1397, it was burned in 1950 and reconstructed in 1955. Hirosaki Castle: original construction (1603-1611) The keep was destroyed by fire in 1627 and a new one constructed in 1810. Grave of the Fireflies: Ghibli war film (1988) set in 1945. To be honest, I can't bear to watch it. Heisei Period (1989-present) - accession of 125th Emperor Akihito. He is 84 years old and will abdicate in April 2019.